For the first time in its history, BirdLife Malta will be venturing into a new field through a partnership it has started with NABU (BirdLife Germany) and several other international partners on a project entitled “Together against Air Pollution from Ships”. 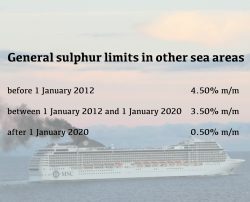 Thanks to this project which has been launched over the past few days with a joint workshop in Malta, we will be delivering a local awareness campaign on air pollution generated by cruise ships in the Mediterranean with the ultimate goal of declaring the Mediterranean Sea as a Sulphur Emission Control Area (see below for definition). Apart from the Nature and Biodiversity Conservation Union (Naturschutzbund Deutschland, NABU) which is BirdLife’s partner in Germany, this project will be implemented together with other Mediterranean environment NGOs which include the Hellenic Ornithological Society (Ornithologiki) which is BirdLife’s partner in Greece, Cittadini per l’Aria (Italy), France Nature Environnement (France) and Ecologistas en Acción (Spain). 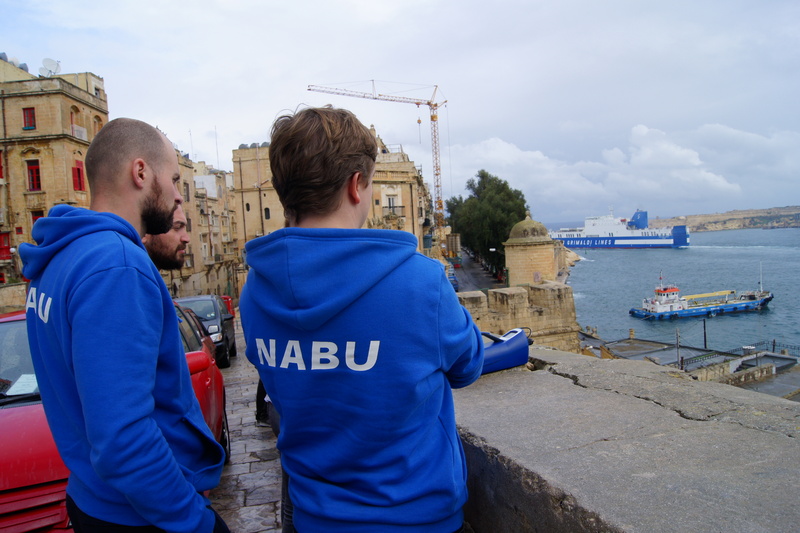 During the project’s duration, the NGOs will work towards raising awareness in Malta and the Mediterranean about air pollution from cruise ships, with the aim of establishing a a Sulphur Emission Control Area (SECA) within the Mediterranean. 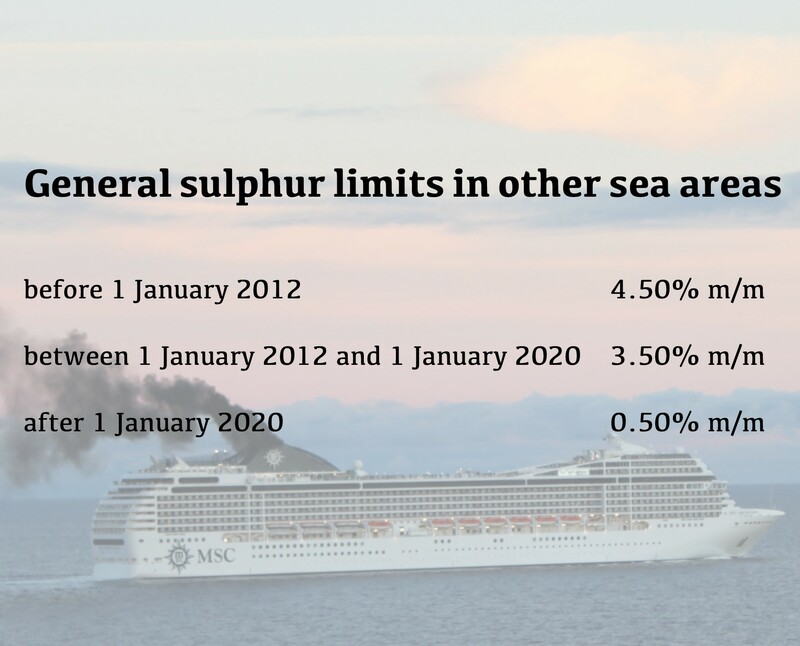 Such an emission control area at sea would improve air quality by demanding that all ships operating within the Mediterannean use cleaner fuels. 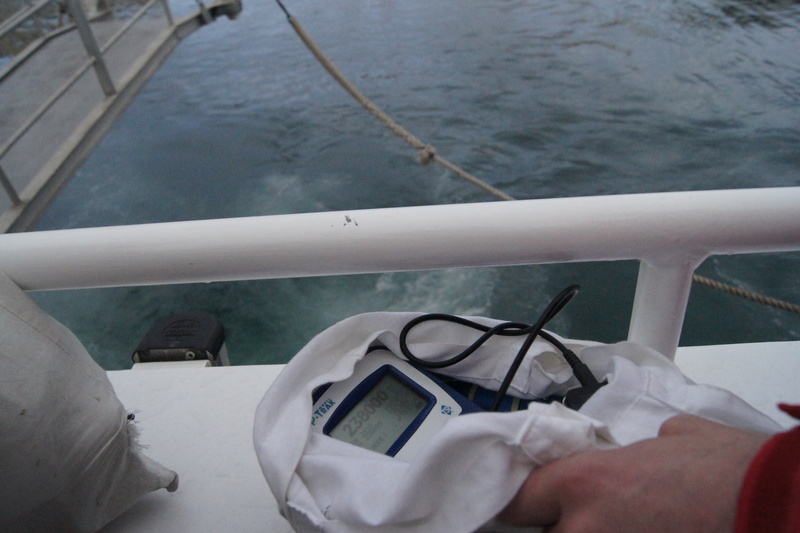 Through an established Clean Cruise Ship Action Network, the project partners will regularly exchange information, knowledge and expertise through periodical conferences which will discuss air pollution from ships. Ships are a major contributor to air pollution that threatens our climate, our environment and our health. Ship engines traditionally burn low quality heavy fuel oil which contributes considerably to global and local emissions, including soot emissions which are in particular harmful to health, ecosystems and climate. In 2012, the World Health Organization (WHO) identified that 95% of Europeans living in urban environments are exposed to levels of air pollution considered dangerous to human health with about 420,000 premature deaths in the EU because of poor air quality. Such emissions diminish the function of the lungs and increase the risk of cardiovascular disease. Some of them like black carbon, contribute to climate change. High concentrations of ultrafine particles (UFPs) in cities are responsible for the death of elderly people and people with poor health conditions. Some emissions are also harmful to our environment because they cause acid rain and lead to water pollution of soils and coastal areas. Air pollutant emissions are also responsible for a significant loss of productivity in agriculture and forestry, and have a negative impact on biodiversity. Other substances also contribute to climate warming. Cruise shipping movements in Malta have increased by almost 16% over the past six years with 280 cruise ships in 2010 and 324 in 2015 berthing at Valletta Cruise Port. In 2014, cruise ship passengers stood at 471,554 for the year, a rise of 9.3% in comparison to 2013. Because of the small size of Malta, it can be assumed that the major part of the island is affected by the above-mentioned impacts. Ship-generated pollution contributes to other significant sources of air pollution such as traffic, energy generation and industry – identified as major concerns to the environment and health under the Strategic Plan for Environment and Development (SPED). Malta’s Greenhouse Gas emissions increased by 54% between 1990 and 2012, the transport sector being the principal contributor with 91.1% in 2012 (SPED). 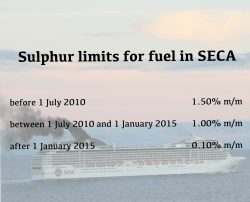 Sulphur Emission Control Areas (SECAs) or Emission Control Areas (ECAs) are sea areas in which stricter controls were established to minimize airborne emissions from ships. They came into effect in May 2005 and oblige ships to switch to cleaner fuel when going through these areas. These regulations stemmed from concerns about the contribution of the shipping industry to local and global air pollution and environmental problems. 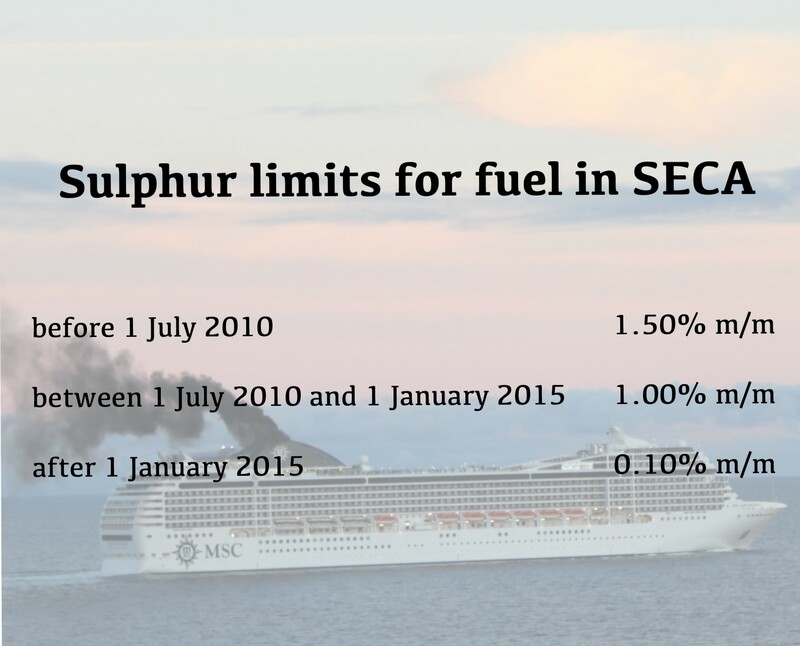 By July 2010 revised and more stringent regulations were enforced with significantly tightened emissions limits. Existing ECAs around the world are the Baltic Sea, the North Sea, the North American ECA (including most of the US and Canadian coast), and parts of China. 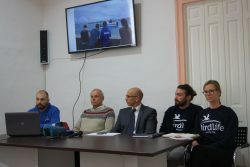 The ultimate goal of the project “Together against Air Pollution from Ships” is to designate the Mediterranean Sea as such an area. 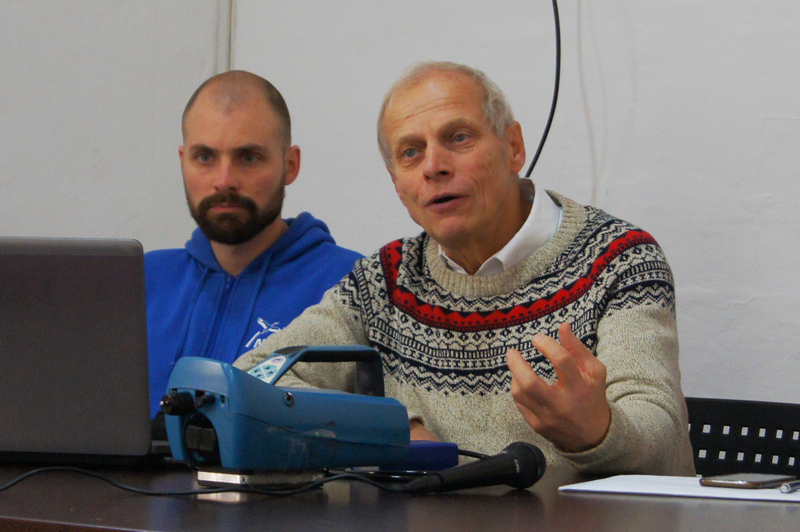 Read the Maltese version of the press release here. You can also download the Project Information Brochure here. More about this project can be found here. You can also watch footage from the air pollution measurement exercise carried out in Valletta and Birgu here.